Morgan, played by the awesome Lennie James, makes an appearance on this episode. He's hold up in a town where he set up traps and devices to “clear” walkers and people. Rick sees himself in Morgan, and tries to bring him back to the prison. Michonne helps Carl grab a family photo from an old bar in town and in the process, form a bond. 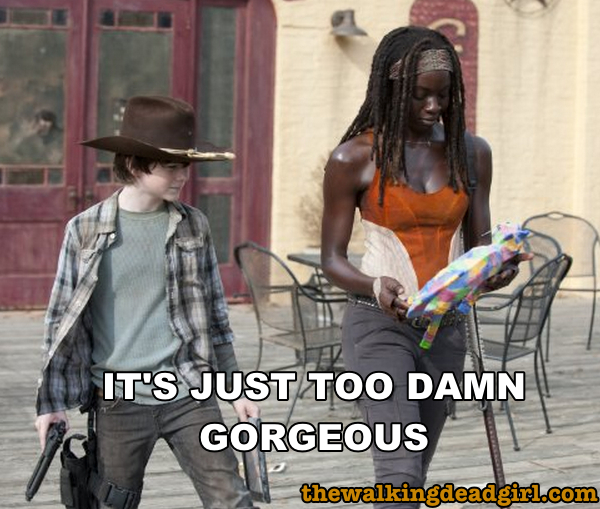 Michonne has a strange taste in art. The abandoned hitchhiker was one of the more funnier scenes of the show. Rick sees himself in Morgan. Rick is not far from becoming like Morgan.